Short abstract: Dynamic models of the properties of magnetic materials are generally based on the formalism of micromagnetics, which is a continuum formalism derived for the investigation of relatively large structures. It is formulated around macrospins with typical size a few nm, within which the magnetisation is assumed constant. This allows the efficient calculation of magnetostatic fields, but forces a long-wavelength approximation to the exchange energy. As a consequence, although thermal activation can be included in the formalism, micromagnetics is restricted to low temperatures where the assumption of long-wavelength thermal fluctuations is reasonable. Recent developments in ultrafast magnetisation dynamics and practical applications such as Heat Assisted Magnetic Recording (HAMR) are not amenable to treatment by the standard micromagnetic approach. In addition, the properties of interfaces are often difficult to investigate using micromagnetics. Here we describe an atomistic model approach where the system is discretised at the atomic level. We will outline the atomistic formalism, including a brief description of the VAMPIRE atomistic code. We will also describe the essential multiscale aspects of the approach, which includes the introduction of the magnetostatic field and also ab-initio information relating to the intrinsic properties of the atomic spins (principally magnetic moment values, exchange and anisotropy contributions. As a particular example we will present recent calculations on the determination of the site-resolved spin Hamiltonian for an FePt/Fe bilayer, where it is shown that the interface exchange and anisotropy values are considerably modified, leading to a discontinuous domain structure at the interface. We will also describe the development of a multiscale model of the properties of NdFeB and apply it to the temperature dependence of magnetic properties. Atomistic models are giving an increasingly important contribution to the understanding of the static and dynamic properties of magnetic materials and form an important link in the chain of multiscale modelling from ab-initio models to large scale micromagnetic simulations: a factor which will become increasingly important following the trend to smaller lengthscales and complex nanostructures. We will conclude by summarising the current status of multiscale models and consider some possible future trends. 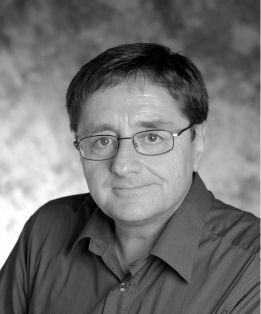 Short biographical note: Roy Chantrell is currently Professor of Condensed Matter Theory in the Physics department of the University of York, UK, prior to which he was Director of the theory group at Seagate Research, Pittsburgh. His group specialises in the development of atomistic and multiscale models of magnetic materials, which are applied to the understanding of the static and dynamic properties of magnetic materials. Recent work includes investigations of ultrafast dynamic processes induced by femtosecond laser pulses, the physics of heat assisted magnetic recording and the development of multiscale approaches to the properties of high energy permanent magnets. Short abstract: Piezoelectric and magnetostrictive materials exhibit strong hysteresis effects with respect to coupled mechanical and electromagnetic dynamics. Experiments confirm that all electro-magneto-mechanical hysteresis effects can be modeled by a single Preisach hysteresis operator and its associated energy potential, both acting on one self-similar variable. Well-posedness of the full PDE system of balance equations is a challenging problem which requires new mathematical tools such as inversion of Preisach operators with time dependent measures. Joint work will D. Davino, B. Kaltenbacher, and C. Visone will be referred to. Short biographical note: Born in Decín (Czechoslovakia) in 1954, since 1981 employed at the Institute of Mathematics, Czechoslovak Academy of Sciences in Prague, PhD in Applied Mathematics in 1984. Monograph ``Hysteresis, Convexity, and Dissipation in Hyperbolic Equations”, Gakkotosho, Tokyo, 1996. 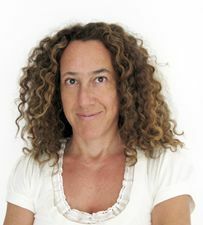 On leave at the WIAS Berlin in 1997-2000 and 2004-2009. 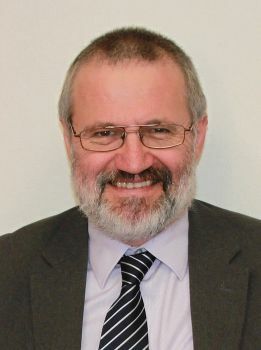 For one period 2009-2014 Director of the Institute of Mathematics, Czech Academy of Sciences in Prague. Short abstract:The spin-crossover type systems have bistable local states, e.g. (HS, LS), and the system is modeled by an Ising variable. However, because of the differences of the energy (or entarpy ? H) and the degeneracy (or entropy ? S) of the bistable states, even within the case of simple ferromagnetic local interaction, the system exhibits various types of successive phase transitions and metastable processes. These variety is understand from a general view point in which hidden phases have been discovered. More over depending on the local interaction among the spin state, the systems show various step-wise phase successive phase transitions. For example, antiferromagnetic interaction in a bipartite system brings an intermediate phase where a staggered structure appears which causes a step in the ordering process of the high spin fraction. The competition among the interaction (frustration) causes a large unit cell of the order parameter, and the system exhibits interesting successive phase transitions. As typical cases, we study the antiferromagnetic Ising model on the triangular lattice with next-nearest neighbor ferromagnetic interaction (Mekata model) and the ANNNI model. Moreover, in the spin-crossover type systems, the change of state causes distortion of the lattice, and it brings new characteristics in cooperative behavior of the system. We will study the effects in static and also dynamic properties of the ordering process. Short biographical note:Seiji Miyashita is a Professor of Department of University of Tokyo. His group studies problems in statistical physics in general. In particular, phase transition in spin systems with various types of fluctuations, non-equilibrium phenomena, stochastic phenomena and also quantum dynamics, etc. He was born in Himeji (Japan) in 1954. 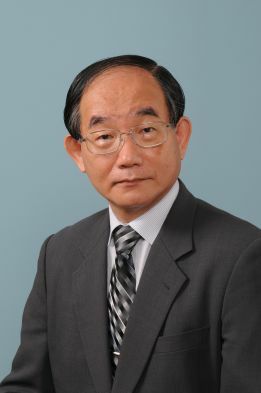 Dr. of Science (The University of Tokyo) in 1981, and an assistant professor of The University of Tokyo 1981-1989, an associate Professor in Kyoto University 1989-1995, and a Professor in Osaka-University 1995-1999. Since 1999, a Professor of The University of Tokyo (1999-2005 in Department of Applied Physics, and 2005-present in Department of Physics.). A Board member of the Physical Society of Japan. Inoue Science award (2001) on ‘Theoretical studies on magnetic phase transitions’. Docteur Honoris Causa (2011) of the University of Versailles (France). .
Short abstract: We consider scalar hysteresis models (like the Preisach model) in the form w = W[u], where u = u(t) is a given time-dependent input function and w = w(t) is the corresponding output function. It is well-known that, when considered as an operator between suitable function spaces, W is Lipschitz continuous but not differentiable in the classical sense. However, the following turns out to be true. If h is a variation of u and if d_s(t) = (W[u+sh](t) - W[u](t))/s) denotes the difference quotient, then the function d_s = d_s(t) converges to a limit function d = d(t), again in a suitable function space. Such results are useful, for example, when one wants to optimize a dynamical system which involves a hysteresis nonlinearity, either by a direct optimization method which involves derivatives, or by exploiting optimality conditions expressed in terms of derivatives. The results of this talk have been jointly obtained with Pavel Krejci. Short biographical note: Prof. Brokate’s interests lie in applied analysis, control theory and numerical analysis. His main focus is on the mathematical analysis of rate-independent evolutions and hysteresis operators. Prof. Brokate (b. 1953) studied mathematics at Freie Universität Berlin and received his doctorate there in 1980. After that, he spent periods at universities in Augsburg, Kaiserslautern and Kiel before arriving at TUM. In 1999, he was appointed to the Chair of Numerical Analysis and Control Theory. 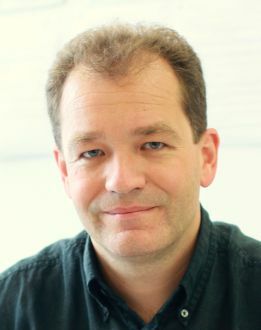 From 2001 to 2004, he was spokesman of Special Research Area 438 “Mathematische Modellierung, Simulation und Verifikation in materialorientierten Prozessen und intelligenten Systemen” (mathematical modeling, simulation and verification in material-oriented processes and intelligent systems). Between 2003 and 2006, he was Dean of the Faculty of Mathematics. He was a member of the TUM Senate and the University Council between 2007 and 2010. Short abstract: A general modelling of vector magnetization processes in 2-d and 3-d for many engineering applications, such as electrical machines, is not completely available at the moment. Physical approaches at nano-magnetic scale have been proposed, but they are not usable in practice, due to the large amount of computer time and memory required to compute the behaviour of real devices, Phenomenological approaches on the other hand, have been proposed on a macro-magnetic scale for the numerical modelling of magnetic materials with hysteresis. They have been used successfully at first to a 1-d analysis of magnetic materials, and, more recently, their extension to vector hysteresis problems has been discussed. The capability to represent with accuracy usual soft magnetic materials, like electrical steels, has not been definitely proved, and this point deserves probably further study. A detailed discussion about some open questions and challenging formulations will be presented. 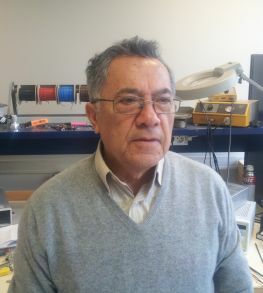 Short biographical note:Ermanno Cardelli, is currently professor of Electrical Engineering in the Department of Engineering of the University of Perugia, and Director of the Laboratory of Electrotechnics. 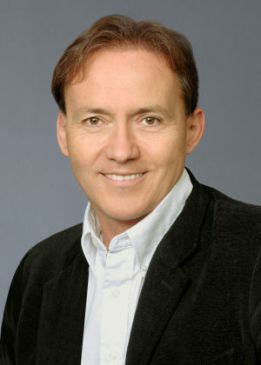 He is visiting professor at the George Washington University, Washington DC, and visiting researcher at National Institute of Standardization and Technology at Gaithersburg, MA.His main research interest is currently the theoretical, numerical and experimental analysis of materials with hysteresis at macro-magnetic scale. Short abstract: Noise and hysteresis are ubiquitous phenomena in science and engineering and yet are far from being well understood both in terms of their fundamental origins and their effects on nowadays technologies. As a result, phenomenological models have flourished in both areas and play increasingly important roles in research and technological developments. However, the stochastic modeling of noise effects in hysteretic systems has been rather limited and specific to each area of applications. The purpose of this talk is to present a unitary framework for the analysis of various stochastic aspects of hysteresis, its implementation in an open-access academic software and its applications in multiple areas. Based on these analytical and numerical tools, both disruptive and constructive effects of white and arbitrary colored noises are discussed in several differential, integral, and algebraic models of hysteresis, including thermal assisted relaxations, memory losses, noise induced amplifications and stochastic resonances. 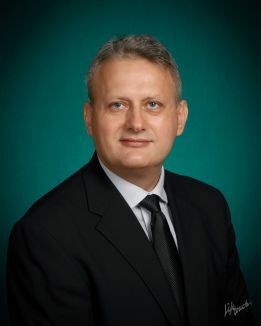 Short biographical note: Dr. Mihai Dimian is currently Professor and Vice-Rector for Scientific Activities at Stefan cel Mare University of Suceava, Romania and Associate Professor at Howard University in Washington DC, USA. Prof. Dimian received his Ph.D. in Electrical Engineering from the University of Maryland at College Park, USA in 2005 and a post-doctoral fellowship in Applied Mathematics at Max Planck Institute, Germany. His research interests are at the interface between mathematics, physics and electrical engineering and include topics from applied electromagnetics, optoelectronics and nanoelectronics with a special emphasize on noise and fluctuations induced phenomena in nonlinear systems. 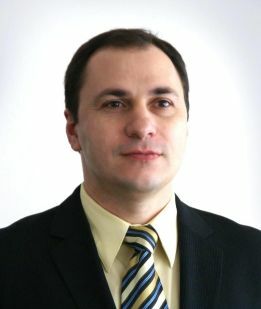 He is the recipient of 2014 Romanian Academy Award in Physical Sciences and of various research and teaching awards from American and Romanian universities. Title: Do micromagnetic simulations correctly predict hard magnetic hysteresis properties? Short abstract: The search for candidates of suitable magnetic materials, structures and their expected behavior as reduction of the heavy rare earth content or the replacement for rare earth containing permanent magnets is of great economical and scientific interest. We have performed electronic structure calculations together with finite element micromagnetic simulations based on the Landau-Lifshitz-Gilbert equation for magnetization reversal in order to study the influence of the real microstructure on the hysteresis properties of large grained sintered and small grained melt spun rare earth magnets. The results of modelling are compared with high resolution, nanoanalytical TEM investigations of various RE-Fe-B sintered magnets with different RE content and coercive field, respectively. We also have performed numerical finite element micromagnetic simulations in order to study the possibility of shape anisotropy effects of packed Fe and Co based nanorod structures as candidates for rare earth free permanent magnetic applications. Recent developments in nanoscience enabled the production of the nanostructured systems with dimensions approaching the order of few nanometers. 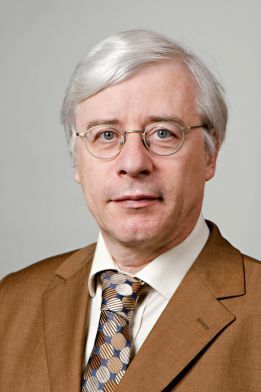 Short biographical note: Josef Fidler is Professor of Physics at the Vienna University of Technology and head of the "Advanced magnetics Group". His main research interests focus on the relations between the real microstructure and the hard magnetic materials properties and the application of numerical micromagnetics to magnetization reversal processes with special attention to advanced hard magnets. Recent work includes the combination of electron density calculations with numerical micromagnetic simulations of rare earth permanent magnets. Short abstract:Phenomenological models are typically being used to calculate the dependence of a material’s magnetization on magnetic fields when efficient core models in simulations or inverse problems are needed. Several approaches have been proposed over the years and tested in a variety of problems with two issues being often the source of debate, namely whether vector formulations are really necessary and whether these models can be used to reproduce the magnetization dependence on the underlying microstructure of a material as in the case of residual stresses in plastically deformed materials. This talk will offer an overview of the current state of the art in vector hysteresis models and their applications with respect to scalar ones, will discuss the challenges of modeling the stress-dependent magnetization processes and will argue the necessity for vector modeling. A case of using a 2D hysteresis model to model the effect of residual stress on the magnetization process will be presented. Short biographical note:Dr. Aphrodite Ktena is an Associate Professor in the Department of Electrical Engineering, TEISTE, Greece. She received her PhD and MSc degrees in Electrical and Computer Engineering from the Carnegie Mellon University, Pittsburgh, PA, USA. Her research interests include hysteresis modeling, characterization of magnetic materials, sensor development, measurement technology, and magnetic non destructive testing (MNDT) methods. Short biographical note:Born in 1949 in Chepen (Peru), from 1978 to 1989 professor at the PUCP-PERU university, associated Professor at the Paris VI University from 1989 to 1995 and since 1995 Jorge Linares is full Professor in the GEMaC laboratoy and in the Department of Physics of the University of Versailles (UVSQ)-France. Between 2009 and 2011 he was Head of the Department of Physics. Together with Dr. Harmut Spiering, he has proposed the Ising model with short and long-range interaction for spin crossover (SCO) compounds, and he has developped the Entropic Sampling algorithme to apply to nano-particles SCO systems. His main research interest focus on phase transition systems (macroscopic and nano-materials systems) and in the applications of SCO systems to temperature, pressure and impact sensors. Short abstract:It has been demonstrated recently that linearly polarized laser pulses in the fs regime can trigger a thermally driven switching in ferrimagnetic GdFeCo compounds via a so called "ferromagnetic-like state", where the rare-earth and transition metal sublattice magnetizations are aligned parallel on a ps time scale. Based on atomistic spin models, we investigate this mechanism and the material properties that are needed for this kind of switching. Furthermore, we investigate the possibility of thermally induced switching in synthetic ferrimagnets comprised of bi- or multilayers of coupled ferromagnets. 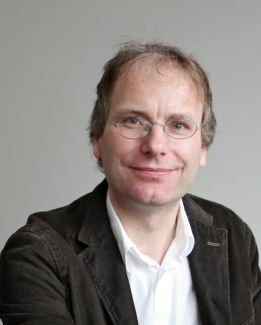 Short biographical note:Prof. Dr. Ulrich Nowak is full professor of Theoretical Physics in the Physics Department of the University of Konstanz, Germany. Current research interests are in the area of theory and computer simulation of magnetic material properties, including multi-scale modelling of nano- and hetero-structures, ultra-fast spin dynamics, spintronics and spin-caloritronics. Short abstract: A first-order magnetostructural transition refers to the thermally-driven process during which a magnetic material is transformed from one phase structure to a different phase structure with the attendant change in its magnetic state. For example, during the thermally-driven magnetostructural transition, the Gd5Ge2Si2 alloy is converted from the ferromagnetic orthorhombic structure to the paramagnetic monoclinic structure. The MnFeP0.5As0.5 and La (Fe, Si)13 alloys along with the Ni2GaMn Heusler alloy and related alloys are examples of other materials that are known to undergo thermally-driven first-order phase transitions close to room temperature. However, in this class of materials and within relatively narrow temperature ranges, each of the thermally-driven phase transitions can be field-induced in the reversed order by the application of a strong enough external field. The temperature range where the field-induced reversed phase transition occurs has been defined as the “metamagnetic transition region”. The majority of materials that undergo reverse field-induced magnetostructural transitions typically display high but narrow magnetocaloric effect (MCE) peaks, accompanied by presence of large hysteresis. In contrast to the above first-order materials, we report on a small number of metallic materials that typically display broad and high MCE peaks also resulting from field-induced transitions in their respective metamagnetic regions but with negligible hysteresis. The Fe-doped HoTiGe and Gd22Ge8Si34Fe36 alloys and the ordered Cr7Te8 compound belong to this small group of materials. The critical difference between these materials and the previously mentioned first- order materials is due to the nature of their respective field-induced transitions. In first-order materials, the field-induced transitions involve both magnetic and structural changes, whereas in the small group of materials the field-induced transitions are purely magnetic and thus they do not involve any structural changes, except for changes in the crystal lattice parameters that have the effect of changing the sign of the exchange energy, but the crystal structures remain the same. When the exchange energy changes sign, it produces a change in the slope of the magnetization versus field curve that has the effect of changing the magnetic state of the material. For example, at 5 K and for field values below 320 kA/m (0.4 T), the Gd22Ge8Si34Fe36 alloy is paramagnetic, while above this values, the alloy becomes superparamagnetic. The combination of broad MCE peaks with negligible hysteresis makes these materials attractive refrigerants for magnetic refrigeration applications. In this lecture we will review the very interesting and unique magnetic properties of this group of materials and propose possible mechanisms to account for their field- induced magnetic transitions with no changes in their crystal structures that give rise to enhanced MCE peaks without any appreciable hysteresis. Short biographical note:Recipient of many other honors and awards; both in the United States and abroad, presented many invited talks, seminars, and lectures at national and international conferences, research institutions and universities. Authored and co-authored over 100 scientific articles in peer-reviewed journals with over 2500 citations and holder of eight patents. For the past thirteen years at The Magnetic Materials Group of the National Institute of Standards and Technology (NIST) and for the last five at The Institute of Magnetic Research (IMR) of George Washington University, I have been conducting research and applied development on magnetocaloric materials for magnetic refrigeration applications and self-assembled multiferroics and tunable magnetic nanostructures for data storage, magnetic sensors and other applications. Both experimentally and through modeling, I have been studying in-depth the magneto-structural transitions in first-order materials and structures (as for examples, the Heusler alloys, FeRh nanostructures, doped and non-doped-Gd5Ge2Si2 alloy, etc.) as evidenced by a number of papers I authored or co-authored on this topic. Short abstract: The coercive of magnets is a function of temperature and measurement time. At zero temperature magnetization reversal occurs when the energy barriers as function of applied field vanishes. At non-zero temperature the system may jump over a finite energy within the measurement time. By computing the energy barrier as function of applied field we can estimate the coercive field at non-zero temperature. We will review different numerical methods for computing the saddle point in particular the nudged elastic band method and the string method in the framework of finite element micromagnetics. Applications will be given for vortex nucleation in thin film magnetic elements and magnetic recording media, and permanent magnets. The proper evaluation of the temperature dependent coercivity is of utmost important for permanent magnet applications in motors of hybrid vehicles where the operation temperature is around 450 K.
Short biographical note:Thomas Schrefl is expert in computational physics. In 1999 he was awarded the START Price of the Austrian Science fund. He worked at the IBM lat the IBM Almaden and IBM Watson research centers (New York) in the field of massively parallel micromagnetic simulation. He was professor of functional materials at the University of Sheffield. In 2014 he joined Danube University Krems. His research interests are spreading from micro-magnetic simulations to intelligent materials such as nano-sensor, and microfluidic devices for medical applications. Short abstract: Magnonic metamaterials or magnonic crystals (MC) are artificial assembly of “man-made” building blocks with tailored properties via their geometrical shaping and compositional modulation. This fact makes possible the confinement of solid state excitations and formation of a discrete spectrum of the allowed modes. Magnonic crystals open huge possibilities for device application as the frequency and strength of resonances related to the propagation of the magnons can be controlled by the geometry and magnetization configuration of meta-atoms. Micromagnetic simulations are essential in understanding and predicting the properties of magnonic crystals and guiding magnetization dynamics experiments. Complicated shapes of magnetic elements forming three-dimensional (3D) MCs determine a rather complex structure of a spin wave spectrum of these individual nanosized elements. Thus, full scale micromagnetic simulations that go beyond the macrospin approximation are needed to accurately evaluate the structure of spin wave modes in these elements. In this work we present systematic micromagnetic simulations of the frequency response of a series of two-dimensional (2D) and three-dimensional periodic magnetic arrays. A special attention is paid to the influence of the MC’s ground state on the properties of the collective resonance modes of the MC. Thus, the possibility to dynamically reconfigure a ground state of 3D MCs is systematically analyzed. In each case the resonance frequencies is investigated by spectral analysis. The frequency response of a finite 3D MC cluster is extracted from the spatially and temporarily resolved data produced by micromagnetic simulations. 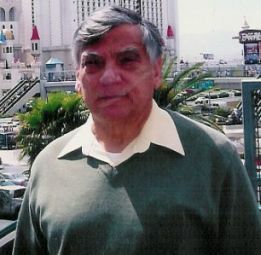 Short biographical note:Leonard SPINU earned a B.S. in Physics from Iasi University, Romania in 1991, and a M.S. and Ph.D. in Solid State Physics from Paris-Sud University, Orsay France in 1992 and 1998, respectively. 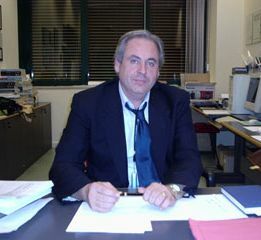 He joined University of New Orleans in 1999 as a research associate in Advanced Materials Research Institute (AMRI) and later in 2002 became a faculty in Department of Physics and AMRI. Currently he is a “University Research Professor” of Physics and Materials Science and acting Director of AMRI. Leonard Spinu is leading a research group with experimental and modeling research in nanomagnetism and strongly correlated electron materials. Short abstract: Traditional methods for cancer treatment are based on the unspecific death of cancerous cells using drugs or highly energetic radiation which cause drastic side effects. Magnetic hyperthermia has been shown to have no known side effects and will allow for reduced doses and even replacement of those more conventional treatments. Currently, only magnetite (Fe3O4) / maghemite (?-Fe2O3) nanoparticles have been approved for use in humans. In most studies of magnetic hyperthermia the value of the anisotropy constant is assumed to be uniform although a distribution will occur. This is due to the fact that the anisotropy of magnetite/maghemite nanoparticles is dominated by shape anisotropy where an increase in the aspect ratio from 1.1 to 1.5 varies the shape anisotropy constant by 300%. This is critical as in most experimental studies particles have elongation ratios in that range. Hence, any theoretical model of magnetic hyperthermia needs to take into account the distribution of aspect ratios, i.e. shape anisotropy constants, for its conclusions to be valid. Calculations based on our previous work which showed that hyperthermia is dominated by hysteresis heating will be presented where a distribution of anisotropy constants has now been taken into account. Dr. Vallejo-Fernandez received his undergraduate degree in Physics from the University of Oviedo in Spain followed by a PhD in experimental magnetism from the University of York in 2007. 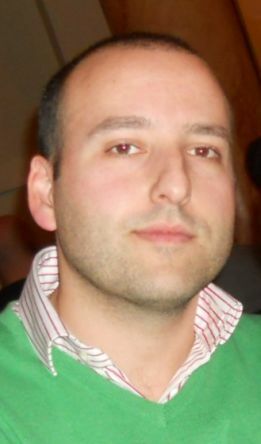 Following a two year post-doc he joined the University of Glasgow as a research fellow in 2008. In 2010 he returned to York and since 2012 he is an assistant professor in the Department of Physics at York. Current research interests include magnetic hyperthermia, heat assisted magnetic recording and exchange bias amongst others. Short abstract: In the first part of the talk, a well controlled mean field limit of the FORC theory is developed. Then, a framework of adding local fluctuation corrections is presented. The analytic theory is verified numerically and experimentally. The experimental test is performed on a tunable array of Co nano-ellipses. In all of these cases two ridges are observed, approximately aligned with the coercivity and bias axes. The second part of the talk concentrates on the FORC theory of nucleation. The theoretical results are compared to experimental studies of permanent magnets. In these nucleation-dominated samples a two ridge structure dominates again, but rotated by 45 degrees relative to the coercivity and bias axes. Connections of the above ideas with the parallel work of the Stancu group will be analyzed.